Waterocks Ice is now available at select Watermill Express locations! Ice is not created equal. For example the ice in the back of your fridge is nasty. 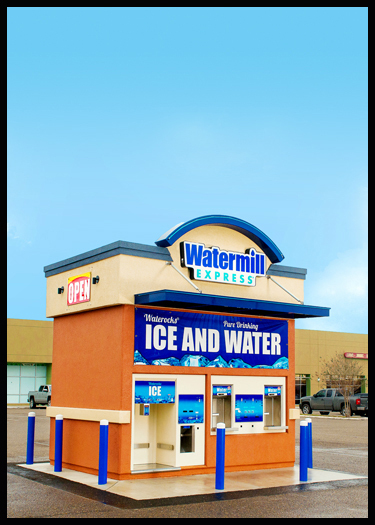 The ice at Watermill Express is made with our pure drinking water and freezes into hard crescent cubes. It melts smooth and clear. No baby pellets here. Drop a handful of Waterocks Ice into your glass and the world becomes a better place.